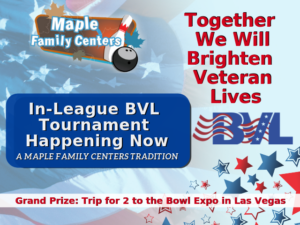 We are proud to announce our Bowlers to Veterans In-League Tournament and a chance to win a trip to Vegas!! This tournament is designed for all skill levels to compete together!! You may also re-enter as many times as you would like – the more you enter the more you help the troops while increasing your chance to win a FREE trip to the Bowl Expo in Las Vegas!! As many of you know, Maple Family Centers League Bowlers have collectively raised over $50,000 each year for our American Heroes!! This has become a Maple Family Centers Tradition!! Visit bvl.org to discover much more about this amazing charity!! Our Bowlers are truly amazing and each year you surprise us with your generosity!! Thank you so much!! You truly make a difference in “Brightening Veterans Lives”!! The in-league tournaments and a chance to win a trip to Vegas will be starting Monday, November 12th this year and hope you can be a part of it!! and do some good for our service men and women while you do it! 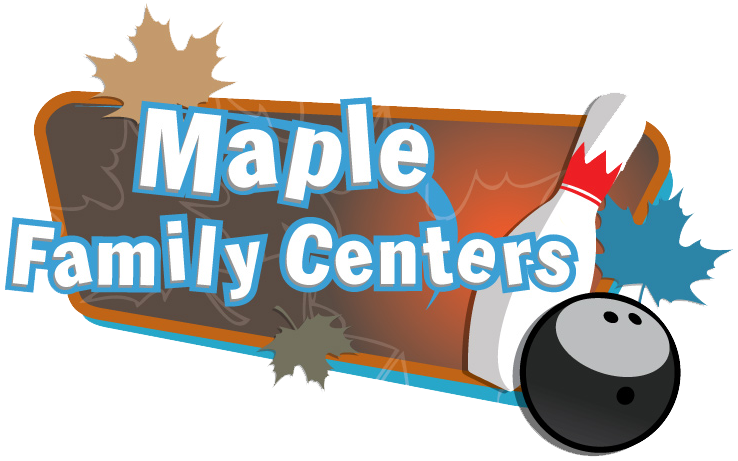 Open to all current Maple Family Centers Adult League Bowlers! Each entry receives a free game valid any time lanes are available! Sponsors & Raffle Donations are welcome! Thank you for bowling with us and for helping support our veterans! and services. These programs and services will help boost their morale and brighten spirits.